The Open Publication Distribution System (OPDS) Catalog format is a syndication format for electronic publications based on Atom and HTTP. OPDS Catalogs enable the aggregation, distribution, discovery, and acquisition of electronic publications. OPDS Catalogs use existing or emergent open standards and conventions, with a priority on simplicity. The Open Publication Distribution System specification is prepared by an informal grouping of partners, combining Internet Archive, O'Reilly Media, Feedbooks, OLPC, and others. OPDS is based on the initial work done by Lexcycle, the company behind Stanza, an eBook reader application for iOS. All revisions of the specification were produced by an informal group organized around an open mailing list. the lives of a man and a woman. Dozens of OPDS catalogs are available online, and in many different languages. Many users of OPDS also create their own OPDS catalog, as a way to access their ebooks from any device. Developers implementing an OPDS catalog usually use the Feedbooks catalog as an example of a fully featured catalog. An OPDS validator is also available to test OPDS feeds. In order to test client compatibility, a test catalog is available as a GitHub project. Over a dozen OPDS clients are available on major platforms such as Android, iOS and Windows. This is a comparison for some of these clients, based on the results published for the test catalog. Bluefire Reader Yes Yes ? ? No ? ? Yes ? ^ "OPDS Spec 1.1", OPDS Spec (technical specification), The Open Internet archive, 27 June 2011, retrieved 2013-05-07 . ^ "Project Goals". Official OPDS mailing list. Retrieved May 5, 2013. ^ "Official OPDS mailing list". Google Groups. Retrieved May 5, 2013. ^ "OPDS Spec 0.9". Official OPDS Website. Retrieved May 5, 2013. ^ "OPDS Spec 1.0". Official OPDS Website. Retrieved May 5, 2013. ^ "OPDS Spec 1.1". Official OPDS Website. Retrieved May 5, 2013. ^ "Online OPDS Catalogs". MobileRead Wiki. Retrieved 2011-05-19. ^ "OPDS Catalog Generation". MobileRead Wiki. Retrieved 2011-05-19. ^ "Feedbooks OPDS Catalog". Feedbooks. Retrieved 2011-05-19. ^ "OPDS Validator". Retrieved 2011-05-19. ^ "OPDS Test Catalog". Feedbooks. Retrieved 2011-05-15. 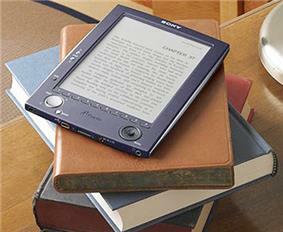 ^ "eBook Reading Software Supporting OPDS". MobileRead Wiki. Retrieved 2011-05-15. ^ "OPDS clients compatibility". Retrieved 2011-05-17. ^ "Bluefire Reader". Bluefire Productions, LLC. Retrieved 2013-05-14. ^ "Moon+ Reader". Moon+. Retrieved 2013-05-14. ^ "eBook Search". Inkstone Software, Inc. Retrieved 2013-05-14. ^ "MegaReader". Inkstone Software, Inc. Retrieved 2013-05-14. ^ "QuickReader". Inkstone Software, Inc. Retrieved 2013-05-14.